Muskoka is Ontario’s most prestigious cottaging region. 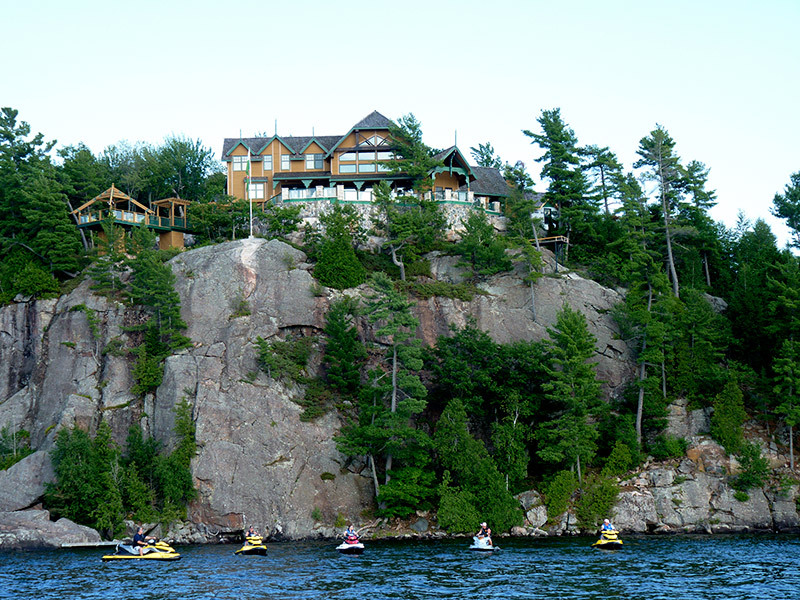 Sure, it’s three main lakes Muskoka, Rosseau and Joseph – are spectacular in their own right. But the real attraction is the homes of the rich and famous. Many movie stars, hockey greats and tycoons of industry have summer homes there and their mansions take your breath away. Muskoka, Rosseau and Joseph – are spectacular in their own right. But the real attraction is the homes of the rich and famous. Many movie stars, hockey greats and tycoons of industry have summer homes there and their mansions take your breath away. 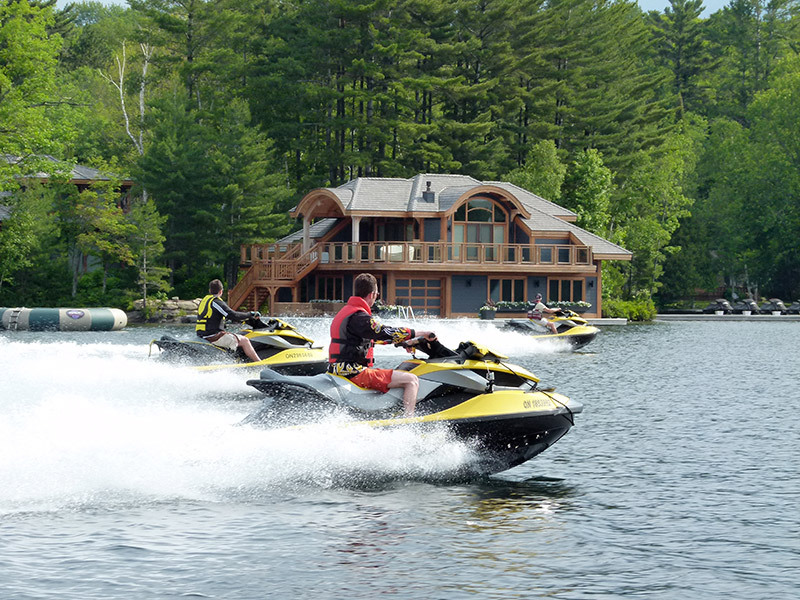 I make a point of taking at least one Sea-Doo tour on these interconnected Muskoka Lakes each summer. Putting in at Muskoka Wharf in the Town of Gravenhust, we can easily spend a whole day cruising and exploring. Best of all, the few rocks, shoals or obstacles are well-marked and you can’t really get lost, because following the shoreline will soon bring you to a commercial enterprise or a cottage dock where help is there for the asking. 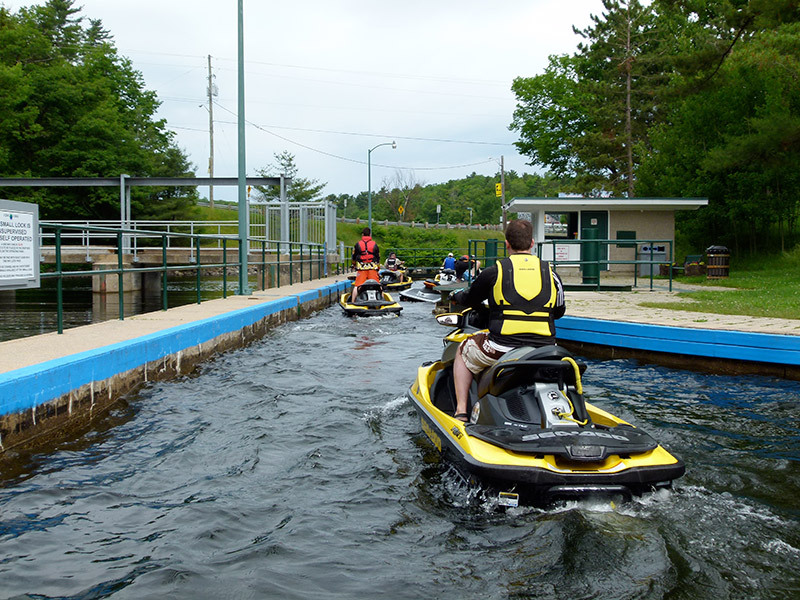 Six of us launched our Sea-Doo’s in late June and travelled up the east shore past Million’s Row at Beaumaris, to the Muskoka River where a small, self-serve lock at Port Carling connects through to Lake Rosseau. With hardly anyone around on this weekday, we made good time on our way to the Joe River leading into Lake Joseph. This lake boast some of the newest and most spectacular architecture, simply amazing constructs, some with their own waterfalls, tennis courts, golf courses and swimming pools. And talk about boathouses! The Muskoka Lakes are dotted with boathouses bigger than my own house in the city. Despite all their high falootin’ finery, these Muskoka Lakes are pretty PWC friendly. Marinas abound where gas and dockage is available. There are several good lakeside restaurants with transient docks. 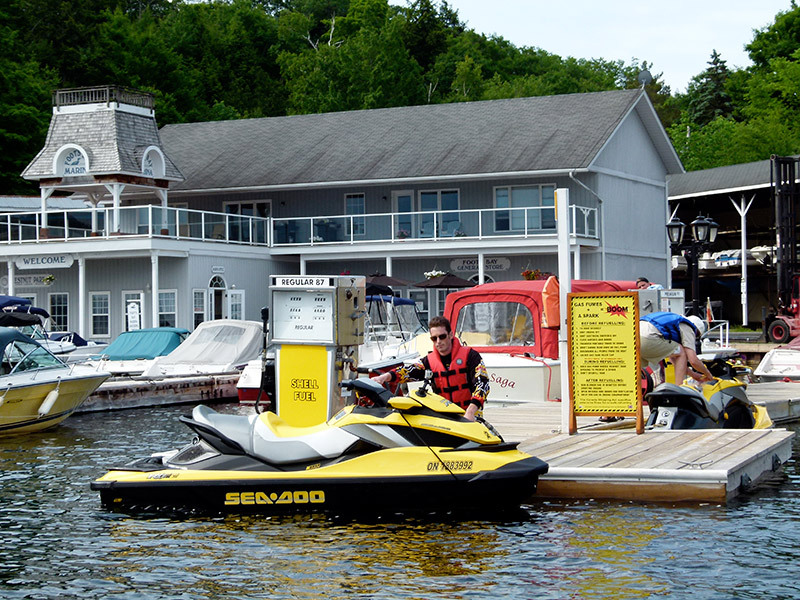 And a couple of major waterside resorts offer lodgings for touring Sea-Doo riders. If you’re looking for an easy tour that can be either a day ride (you won’t see it all) or a two-day overnighter, you can do no better than this. 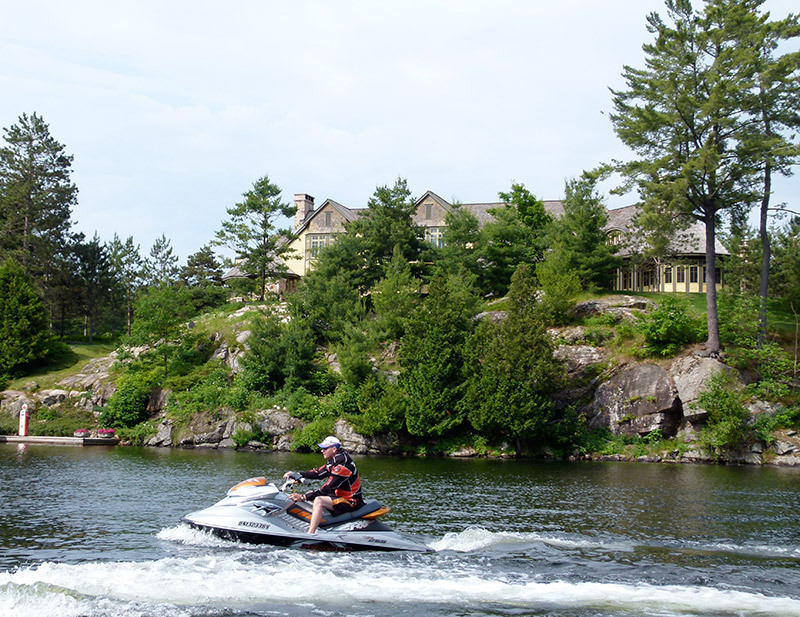 I highly recommend including a Sea-Doo tour of the Muskoka Lakes in your Sea-Doo adventures. Talk to you next time!